Monitor Coatings Ltd, Castolin Eutectic’s UK based coatings service centre, has received Nadcap ‘merit’ accreditation for specialist aerospace coatings following an audit in November 2017. Monitor Coatings received Nadcap accreditation for demonstrating their ongoing commitment to quality by satisfying customer requirements and industry specifications, the company said in a statement. 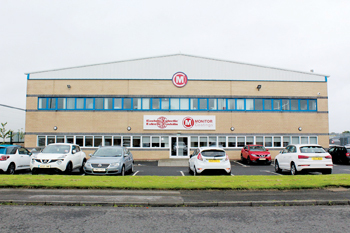 Derek Jackson, technical director of Monitor Coatings said: “It is with great pleasure that I can confirm, Monitor Coatings Limited has been granted ‘merit’ status by the prestigious Nadcap programme. This achievement is a credit to the skill and determination of the entire workforce to implement and maintain the challenging requirements of the programme. We have held Nadcap approval since 2003 and it remains the bedrock of our Quality Management System and ensures that the company continues to deliver product, meeting and exceeding customer requirements”. Monitor Coatings state-of-the-art service centre offers a wide portfolio of wear and corrosion prevention solutions for those demanding industries where corrosion and erosion are probable. Monitor Coatings portfolio comprises vapour degreasing, abrasive blasting, flame spray, arc spray, plasma, high velocity oxygen fuel and low pressure vacuum plasma. Monitor Coatings are renowned for their sought after niche MoniPlex slurry coatings range. “It is one of the ways in which the aerospace industry identifies those who excel at manufacturing quality product through superior special processes. Companies such as Monitor Coatings work hard to obtain this status and they should be justifiably proud of it,” said Joe Pinto, executive vice president and chief operating officer at the Performance Review Institute. 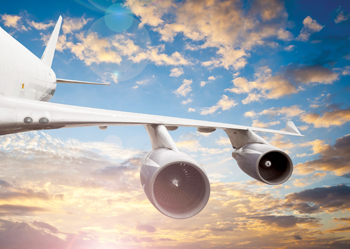 “PRI is proud to support continual improvement in the aerospace industry by helping companies such as Monitor Coatings be successful and we look forward to continuing to assist the industry moving forward”.